While GfK’s radio survey #1 for 2017 doesn’t start until this Sunday January 22, a number of radio shows have returned from their summer break this week. 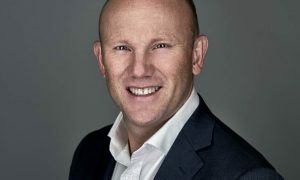 Most of Nova Network breakfast shows are back in business with the exception of the Melbourne program where Chrissy, Sam and Browny seem to have negotiated an extra week off. Brisbane’s Ash, Kip and Luttsy got an extra day off, starting on Tuesday, although Susie O’Neill won’t be back with the team until next Monday. 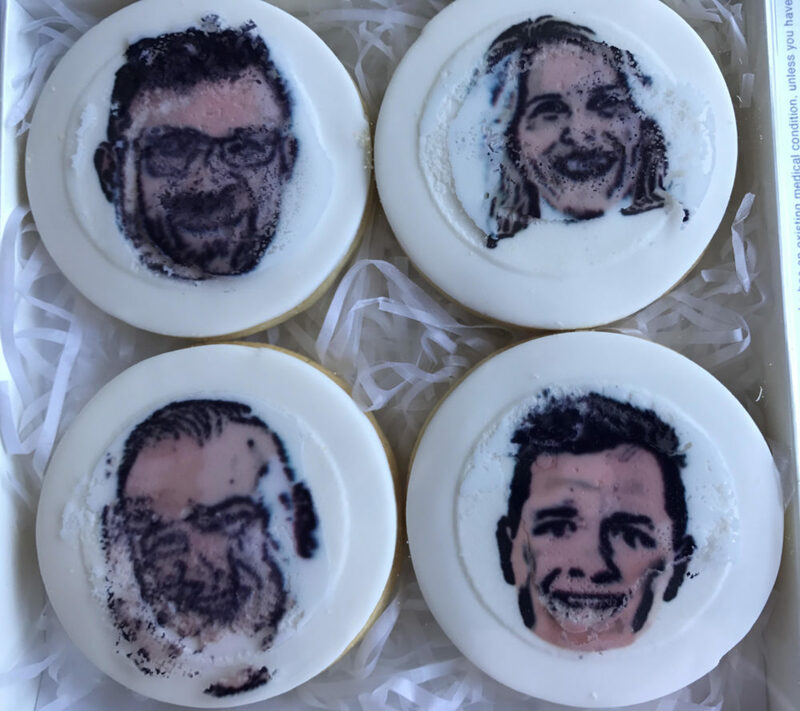 The Nova Brisbane breakfast show sent out cookies to announce their return. ARN’s Ash, Kip, Luttsy and Susie cookies… which stuck to the box having been sent down from Brisbane in the heat! Lots of interest in the Brisbane market surrounding Nova’s competitors with 97.3 breakfast back this week with Bianca Dye joining Terry Hansen and Bob Gallagher. The three radio pros clicked from day one and it is obvious why ARN moved quickly to secure Dye after it split with Robin Bailey. 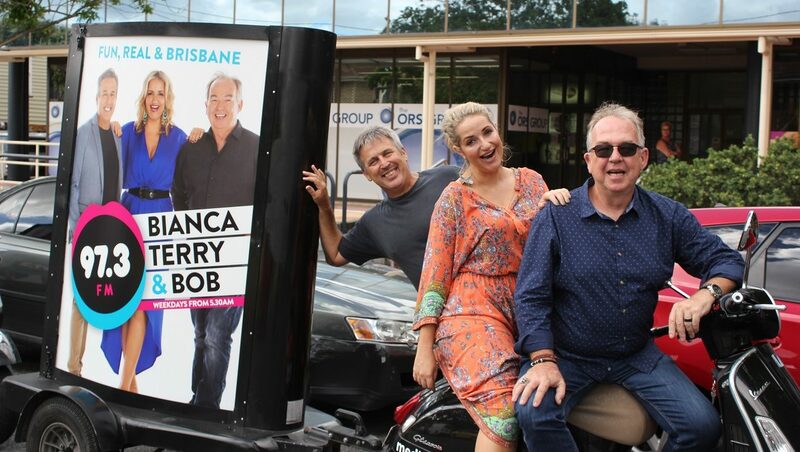 ARN has used the week to launch the first stage of a new marketing campaign, featuring Bianca, Terry & Bob, launched across Adshel street furniture, Media V branded scooters and a targeted digital campaign including display and social. ARN national content director Duncan Campbell said: “We’re extremely excited to have Bianca Dye on board for our 2017 breakfast show. We’ve developed a strong marketing campaign that captures the charisma and chemistry of Bianca, Terry and Bob, as well as their unique personalities. Meanwhile Robin Bailey starts on her new station Triple M Brisbane next Monday with her new colleagues Marto and Ed Kavalee warming up the audience this week. Fitzy and Wippa were back early too for Nova in Sydney with their team of Sarah McGilvray (also now 96.9 PD) and Tom Ivey (show EP). An insider from the show has told Mediaweek that listeners should watch out for secret weapon Tom to have an even bigger role on the show this year. That’s got to be good news, right? 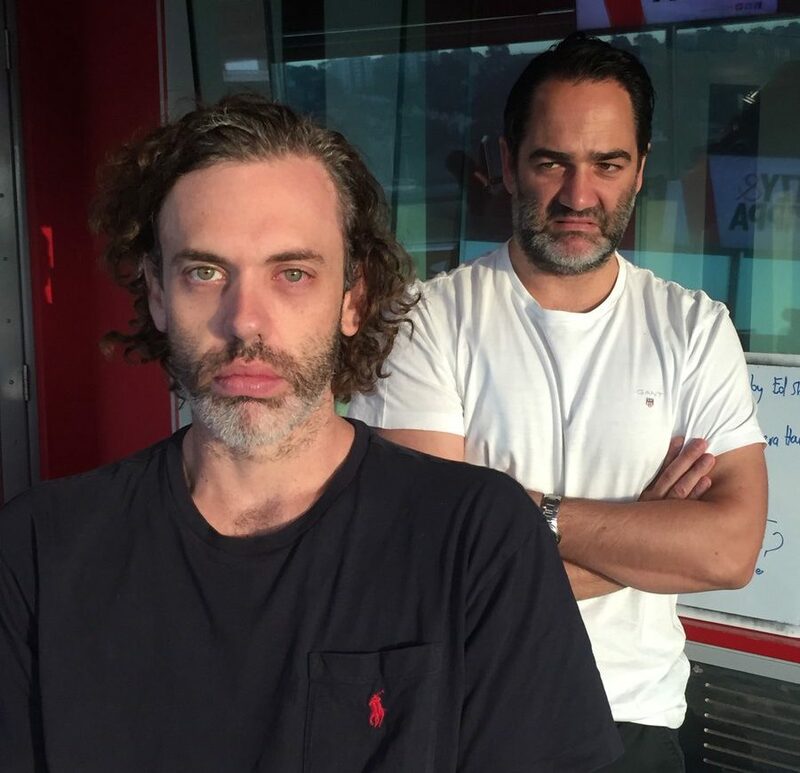 Most interest in Melbourne radio initially this year could be on how the new team with Garry Lyon at SEN 1116 breakfast performs. But listeners are going to have to wait until January 30 for that to start. #1 FM Melbourne breakfast bragging rights look like being a tussle between Fox’s Fifi and Dave and Triple M’s The Hot Breakfast. At the country’s biggest metro radio stations – 3AW and 2GB – there was a mix of old and new. At 3AW Ross and John were back in action a week before survey starts while at 2GB, with Alan Jones still recovering from surgery late last year and Chris Smith on leave, Steve Price is hosting the Sydney breakfast show. With radio survey starting a week later in 2017 it also finishes a week later. The final day of survey is December 9 and, get this this, those results won’t be out until December 19!